Each portal operates with a proprietary news harvesting engine that pulls news from different sources, categorized and presented in a very user friendly manner. 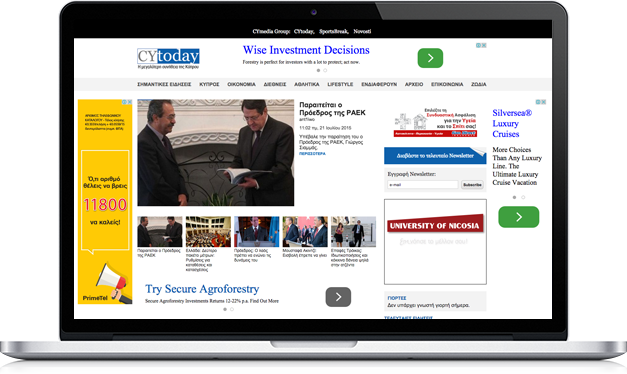 CYmedia was introduced in Cyprus market in 2010 and its purpose was to provide to its readers the ability to read the latest world’s news from ONE informative source within 15’! ALL IN ONE portal! Since then, CYmedia is one of the 5 top major player in Cyprus and also being the leader when it comes to Newsletters with the CYtoday. 3 distinct and clearly positioned product mix that include, email newsletters, portals and social media pages. 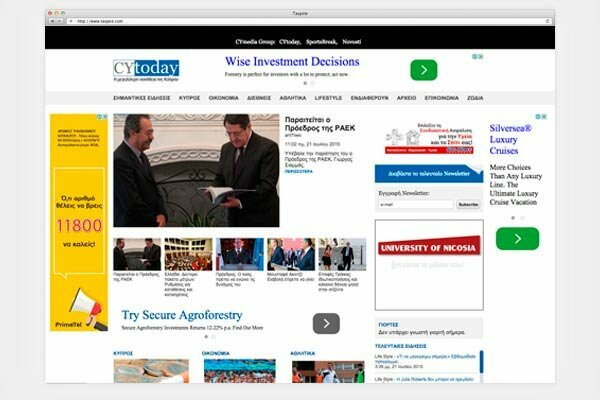 CYmedia supports affiliate portals such as Showbiz.com.cy and paideianews.com.cy, thus reaching a wide range of audiences. Digital Power in your hand! Our passion is to grow your business and deliver results at the maximum reach with the low cost! Cytoday focuses on daily local and international news. It is available in the form of a newsletter delivered every morning in the subscribers mail boxes, within facebook, published in the form of an electronic newspaper and through its portal, in the form of a newspaper and includes up-to the minute news. 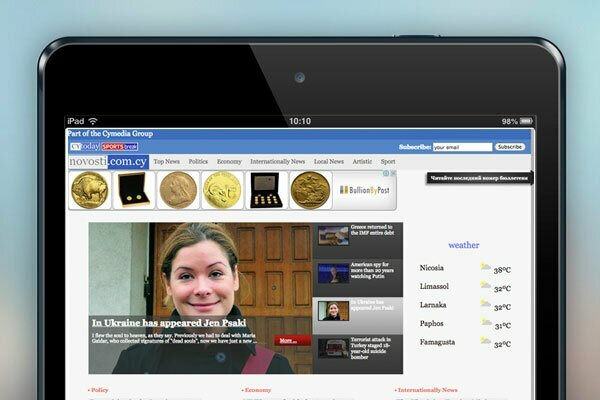 Novosti.co.cy is the country’s only Russian daily electronic newsletter delivered Monday-Friday to more than 29,000 Russian speaking people. By 7am, Russians in Cyprus have a complete overview of the main stories, headlines and breaking news that take place in their native country, Russia. It takes less than 10 minutes to read and by that time, Russians living in Cyprus are fully informed in their native language of the main topics, namely, Politics, Finance, Russian, Cyprus and International news, Russian and International Showbiz and Sports. SportsBreak.com.cy is the country’s largest daily Sports electronic newsletter with 22,000+ subscribers. By 7am every day, a full overview of the main Sports stories awaits them in their email box. It takes less than 10 minutes to read and by that time the reader is fully informed of the day’s main Sports news in the topics Cyprus Football League, International Football News, Basketball, Formula 1, Voleyball and any other newsworthy Sports story.